Rishu Sharma Post Graduate Scholar, Department of Panchakarma, Rishikul Campus, Uttarakhand Ayurveda University, Haridwar, Uttarakhand, India. Gyanendra Datta Shukla Associate Professor, Department of Panchakarma, Rishikul Campus, Uttarakhand Ayurveda University, Haridwar, Uttarakhand, India. Alok Kumar Srivastava Professor, Department of Panchakarma, Rishikul Campus, Uttarakhand Ayurveda University, Haridwar, Uttarakhand, India. Panchakarma therapy is one of the vital branch of Ayurveda, which deals mainly with purification of the provoked Doshas from the body. Basti Chikitsa is regarded as the prime treatment modality among the Panchakarma. It is having not only curative action but also preventive and promotive actions. It is considered as best treatment for Vata Dosha. Yapana Basti is a subtype of Asthapana Basti, which is having the property to support life and promote longevity and widely used in various disorders. Rajayapana Basti is superior amongst all the Yapana Bastis described by Acharya Charaka as it is the king of Yapana. This Rasayana Yapana Basti performs dual function of both Anuvasana and Niruha; hence this is Srotoshodhaka and Brimhana at the sametime. That’s why there is no need to administer separate Anuvasana while giving Yapana Basti. There is an urgent need of standardizing the classical Panchakarma procedures in consideration of the need of today. The dosage schedule, exact procedures, medicaments, effects, and side effects are to be standardized so that uniform procedure of practice should be followed all over nation. Standardization is the need of hour for physicians, to prevent Atiyoga (over activity), Ayoga (less or no activity) and to get adequate effects in a systematic and sophisticated manner within desired time period. SHARMA, Rishu; SHUKLA, Gyanendra Datta; SRIVASTAVA, Alok Kumar. CRITICAL REVIEW ON STANDARD OPERATIVE PROCEDURE OF YAPANA BASTI KARMA. 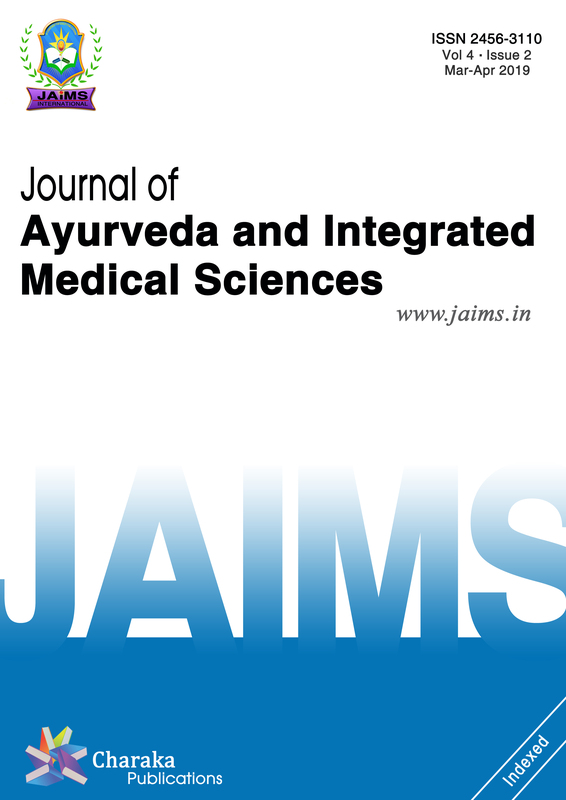 Journal of Ayurveda and Integrated Medical Sciences (ISSN 2456-3110), http://www.jaims.in/index.php/jaims/pages/view/Citation, v. 3, n. 5, p. 159 - 163, sep. 2018. ISSN 2456-3110. Available at: <https://jaims.in/index.php/jaims/article/view/649>. Date accessed: 25 apr. 2019. doi: https://doi.org/10.21760/jaims.v3i5.13836.